Now women too can attire with favorite heroes. On this store, we don’t only have the Han Solo jacket for men but also for women. The Han Solo Women Jacket, worn by Harrison Ford in Star Wars – The Force Awakens, is specially designed to make it eligible for women to try. You can notice the perfect fitting and the bullet pockets on the left are enhancing its charm. The Han Solo Women's Leather Jacket is made of 100% real leather. Viscose is stitched inside the jacket for comfort. 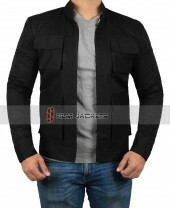 It has a magnetic button closure, two pockets on the outside, the same detailing like the men’s jacket. 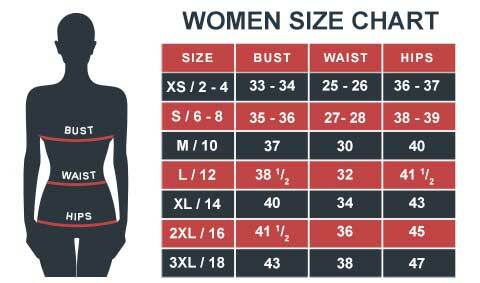 This is snug fit outerwear will bring out your curves and make you look stylish. I am really amazed by Han solo jacket designed for women. It totally satisfied me. Just an opinion if there were more detailings were done with some brown thing than I guess it would have become a more robust and a superb jacket. But overall I liked it. Just perfect, it's so beautiful like in the movie and very confortable. I feel like Han Solo ! It's a good jacket in woman style. In the movie, Mr. Han Solo was wearing a jacket that I wanted to buy, but then I found this jacket in woman cut that diverted my mind towards it, and I'm happy with my purchase. my boyfriend bought me this jacket and i absolutely love it. this jacket looks fantastic and it fits great. it has some light quilting so it's actually warmer than it appears.